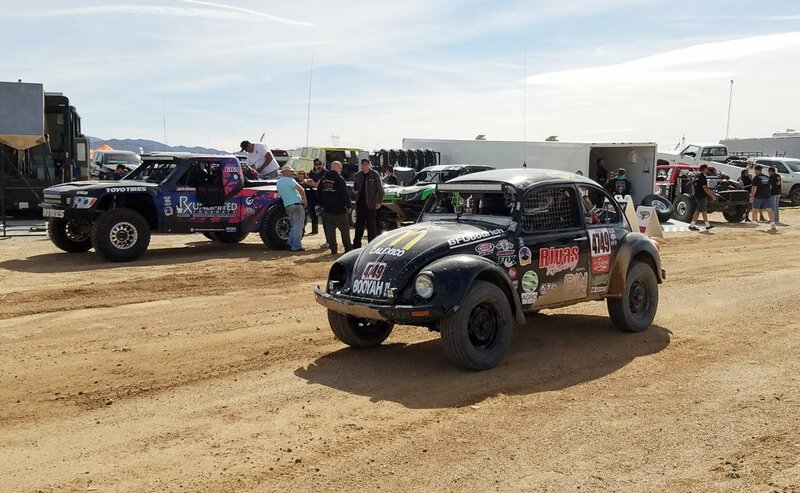 The Mint 400 is called The Great American Off-Road Race. 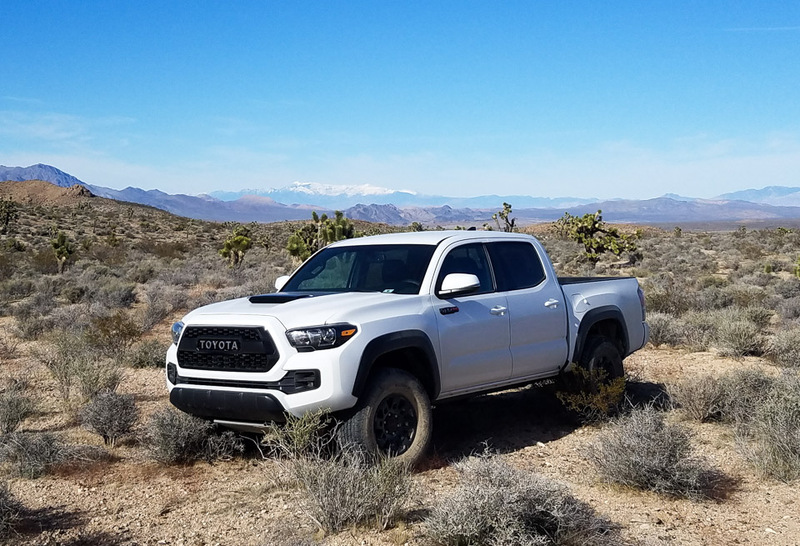 To make the experience even better, Toyota helped us turn it into an awesome off-road road trip and adventure ending up in Las Vegas. We queued up Fear and Loathing and hit the road for an amazing weekend adventure. 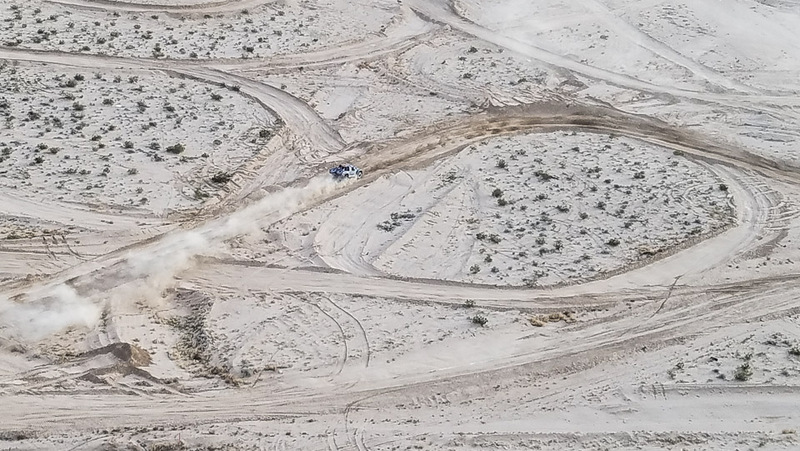 Going to a desert race is fun, but driving to the race across the desert is more fun. 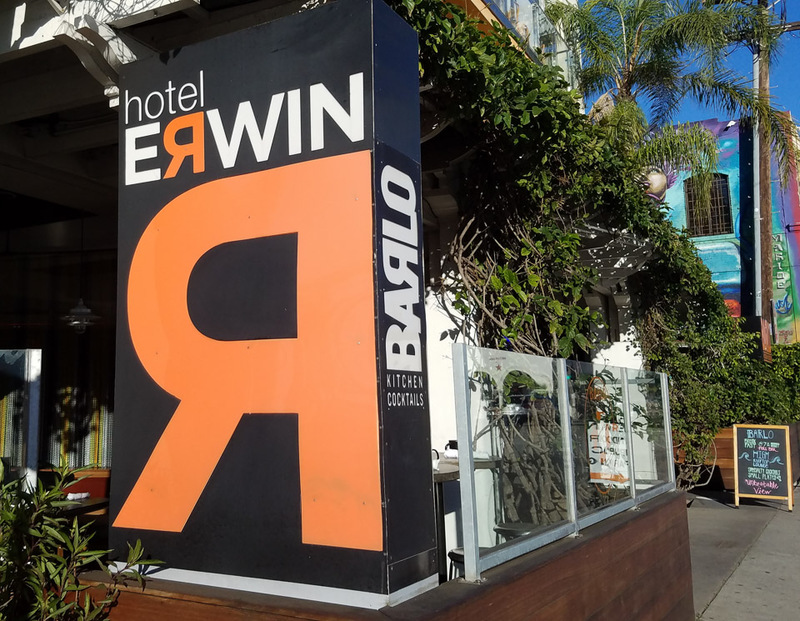 We met up at the Hotel Erwin in Venice, California before we started the trek to Vegas. 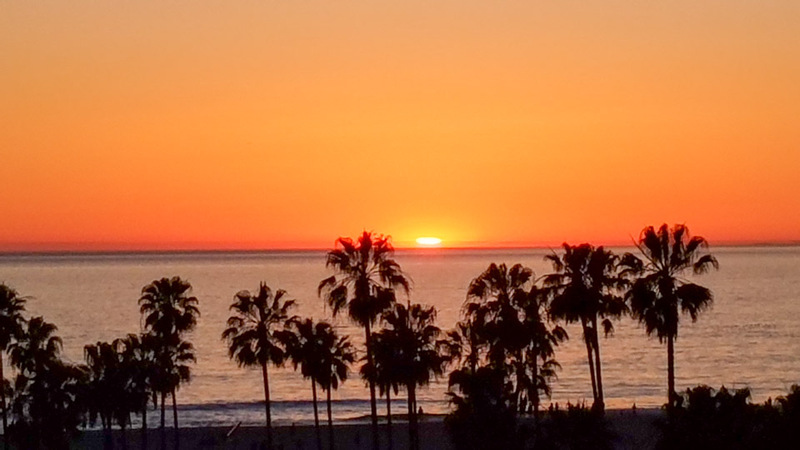 The rooftop bar at the Erwin is known around Los Angeles as a place to watch the sunset. It’s a heck of a view and a great way to close out a travel day. 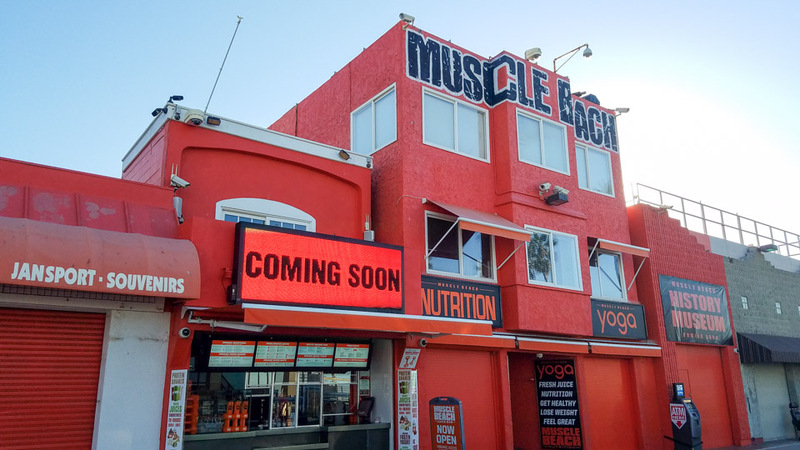 Venice is a vibrant community with lots of art and culture, and even the world-famous Muscle Beach. But we couldn’t get our lift on because we had to get going. 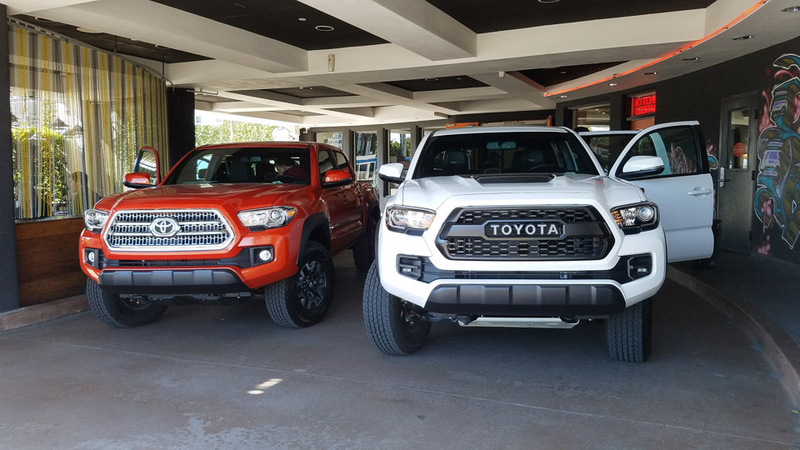 Toyota provided us with three of their TRD trucks; a TRD Pro Tacoma, a TRD Pro Tundra, and a TRD Off-Road Tacoma in Inferno Orange. At the halfway point in Baker, we stop to check out the world’s tallest thermometer, because that’s what you do on desert road trips. 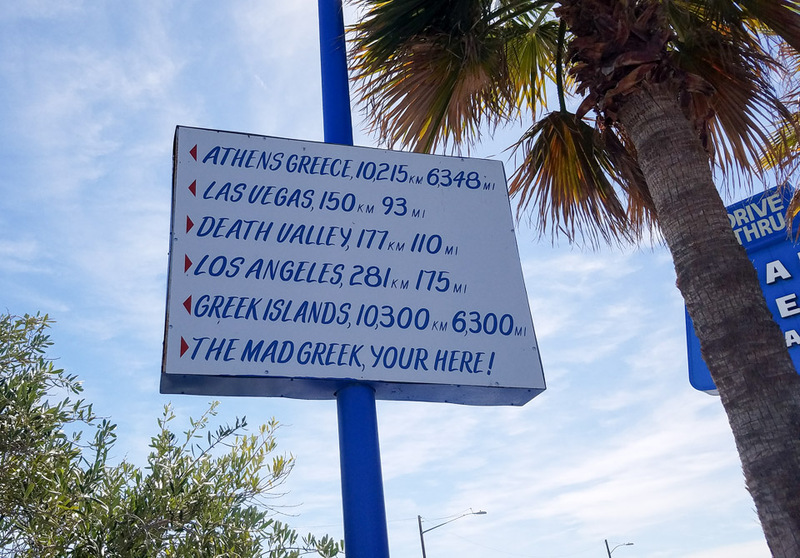 We also dined at The Mad Greek restaurant, which is open 24 hours a day for those late-night drives home from Vegas. 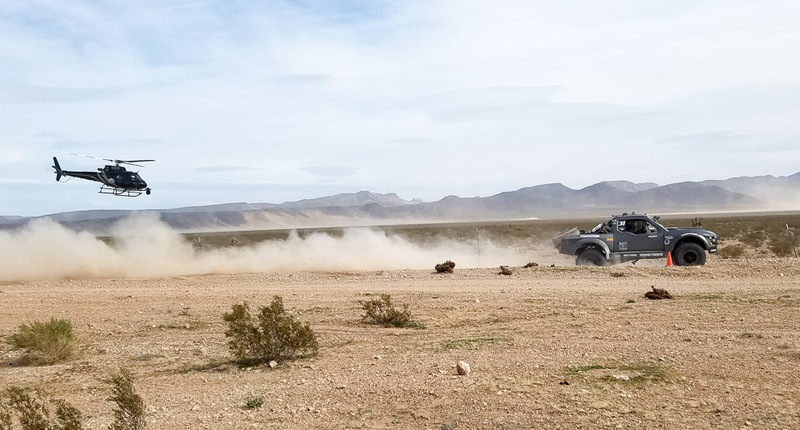 After lunch, we went off-road and blasted across the Mojave, admiring the beautiful scenery while seeing what the limits were with our trucks. 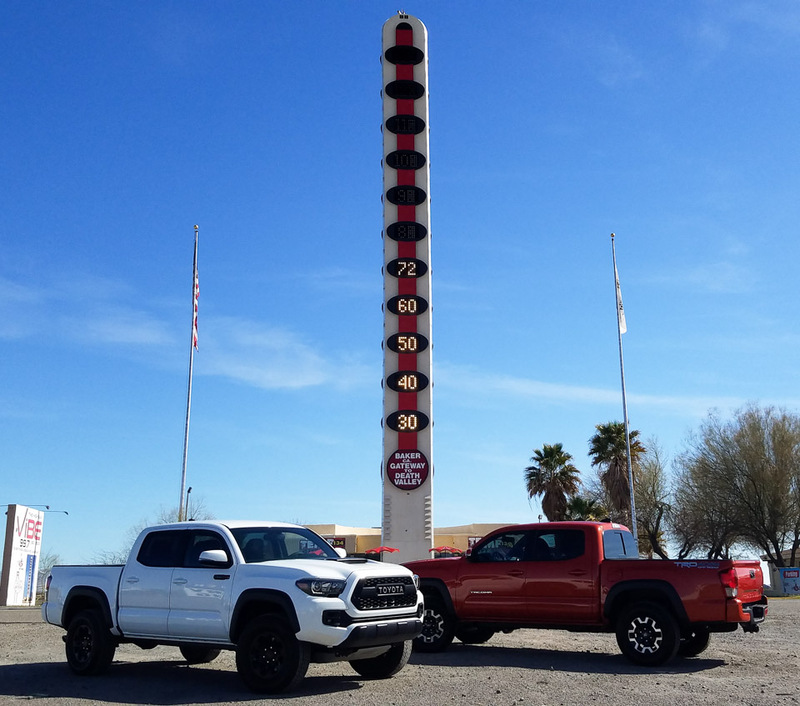 We learned quickly why the TRD Toyotas are so well-respected in the enthusiast community. 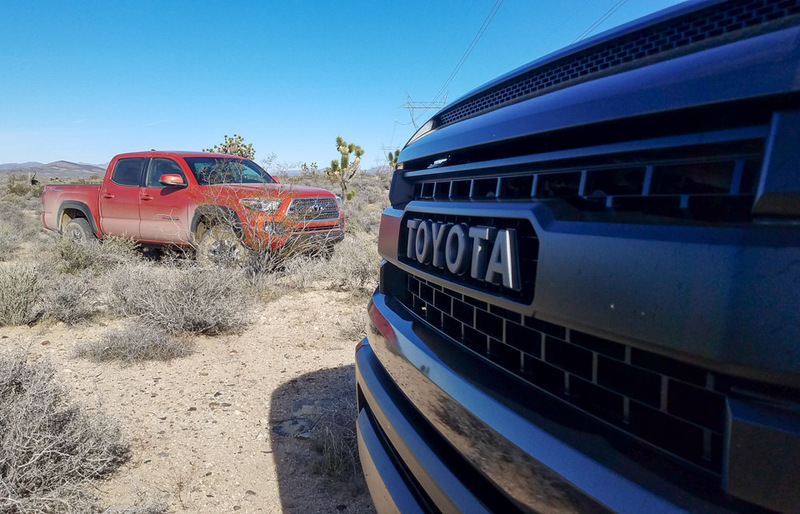 We’ve been in a lot of off-road vehicles, but the Toyotas are extremely-capable for the price. 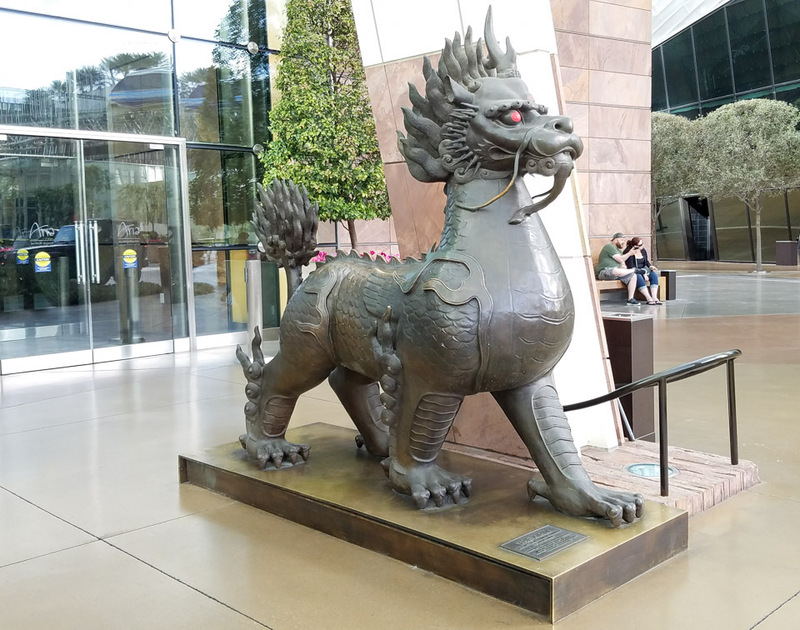 But we had to hurry, we didn’t want to anger the beasts guarding our hotel in Vegas; the Aria. 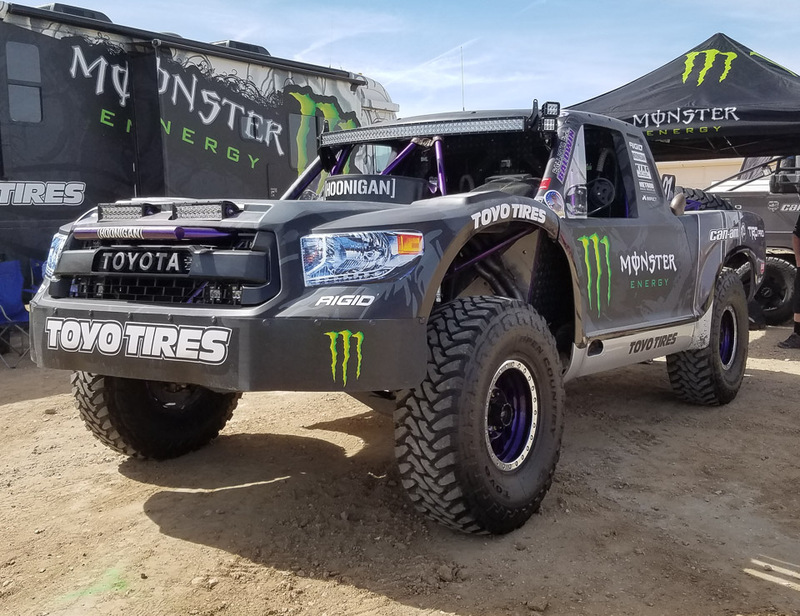 Early the next morning, we wandered the pits to see what kinds of vehicles, aside from trophy trucks, race in the Mint 400. It turns out nearly anything can run! 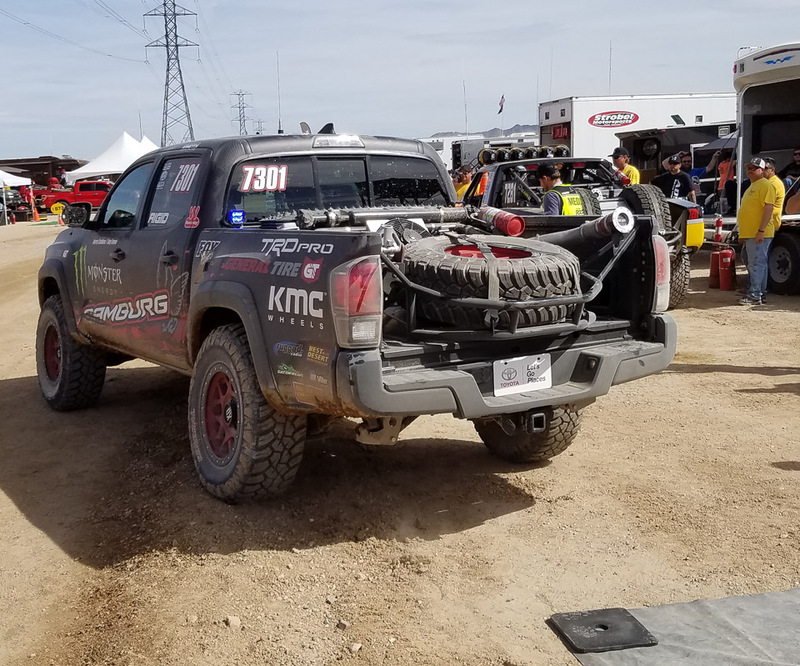 They even let this basically stock Toyota Tacoma TRD Pro run the 116 mile lap of the course. But why? 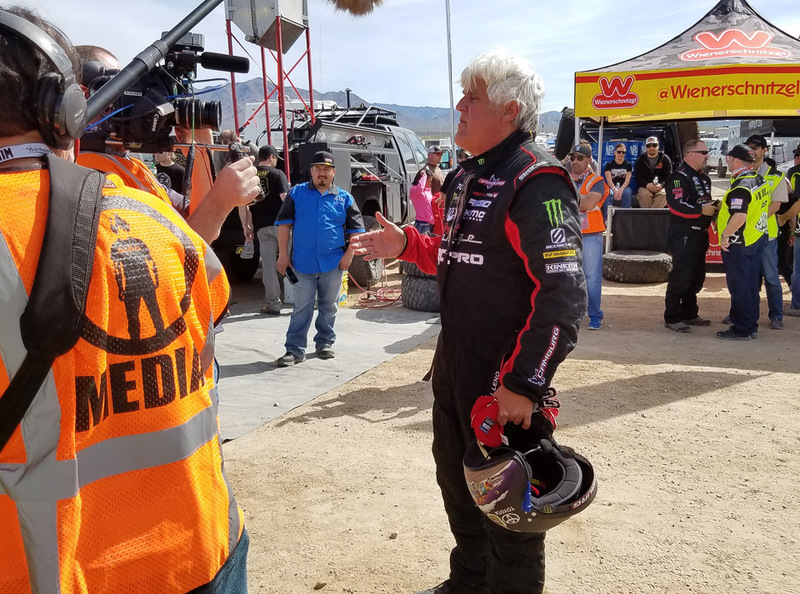 Because Jay Leno was driving! He woke up at 5am to run a lap of the race after doing a comedy show that ran until after midnight the night before. He was tired but in good spirits! 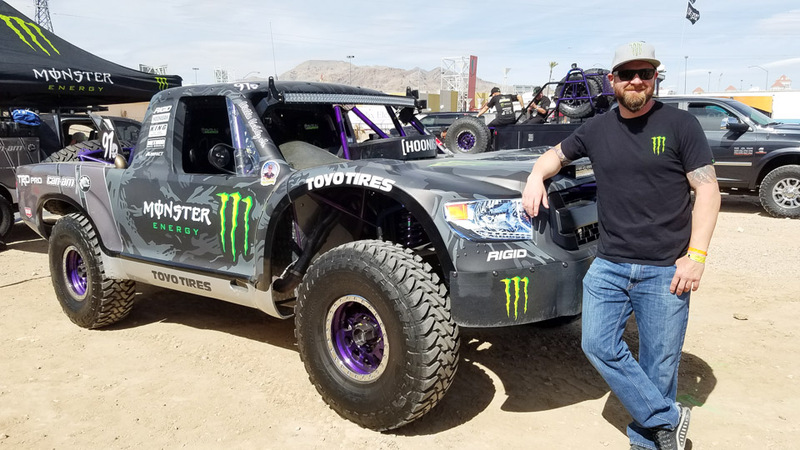 Monster Energy’s BJ Baldwin, one of the big stars in trophy trucks, talked to us before heading out to do three grueling laps of the dangerous course. 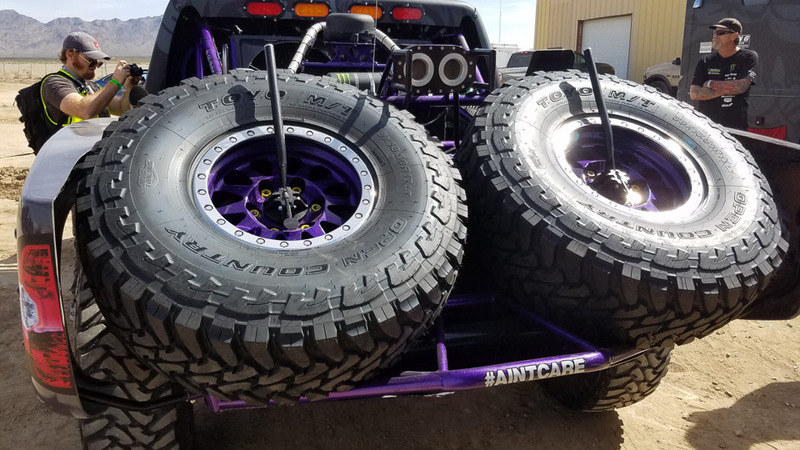 Drivers need to be prepared for anything, so beds packed with massive spare tires and emergency gear are a common sight. 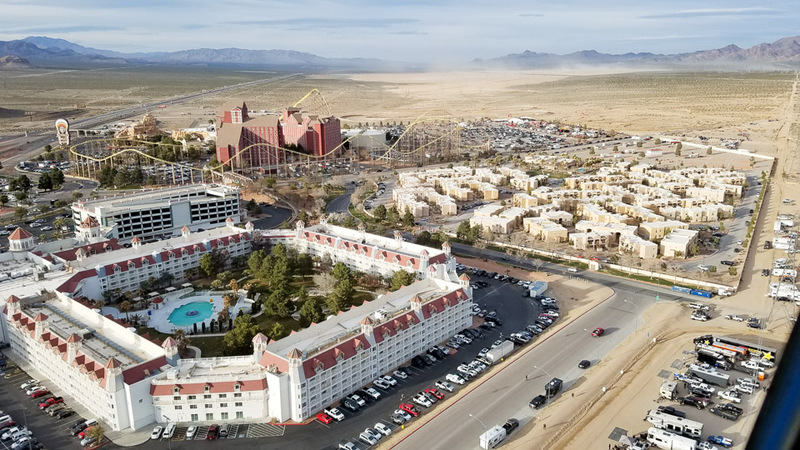 The starting point for the race is Primm, Nevada, which appears to be your typical small desert town. 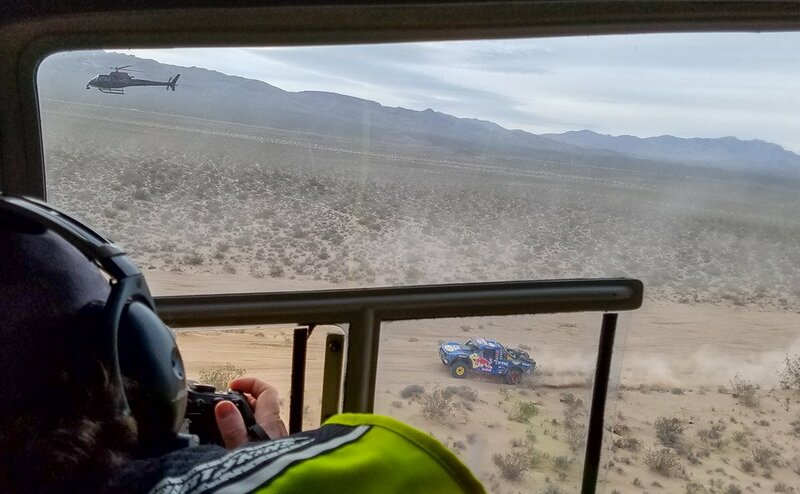 A number of spectator spots along the course gets you up close to the action, as long as you don’t mind the helicopters buzzing over your head. 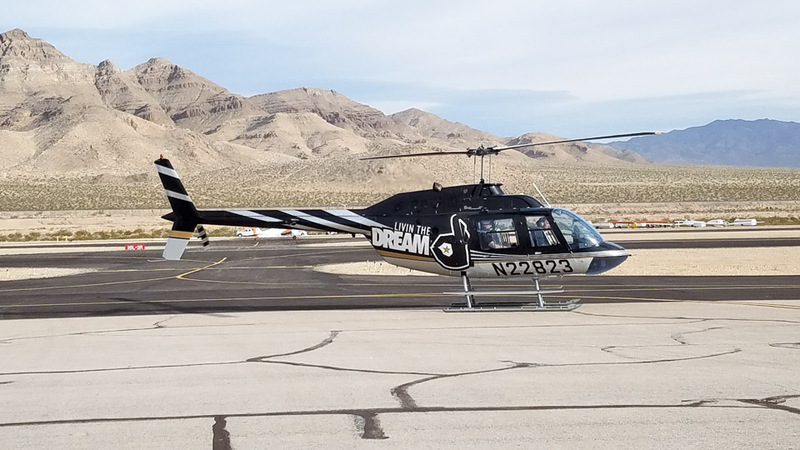 Not that everyone gets to do it, but helicopters are the best way to see the race, so we hopped about a chopper that said “Living the Dream!” on it and hit the sky. We were, in fact, living the dream! 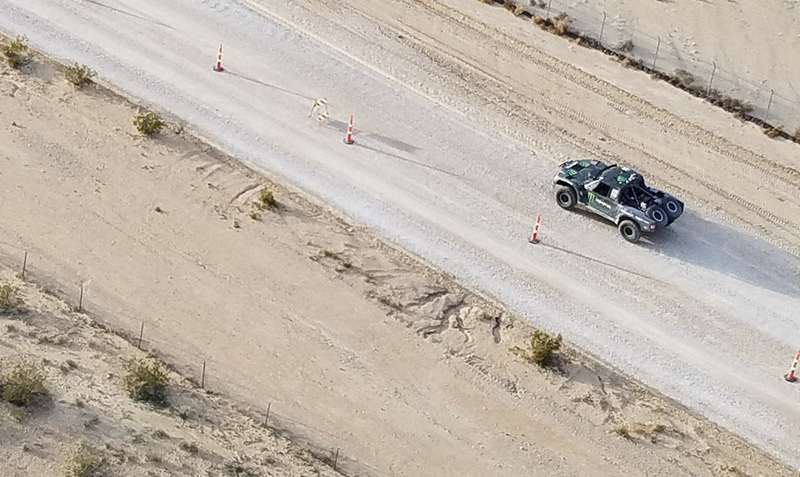 Not only did we sit above the trucks and watch them, our pilot brought us down to a very low altitude and chased the trucks, giving us an opportunity to see the race from a perspective very few people get to enjoy. 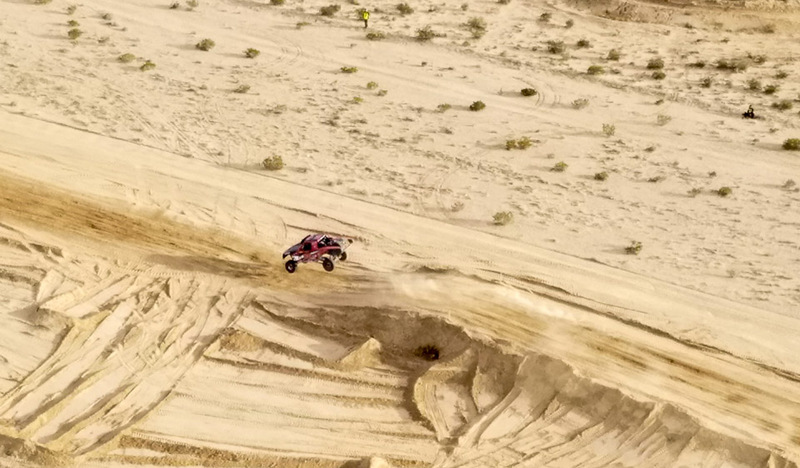 Trophy trucks can hit speeds of 140 miles-per-hour off-road, but you must be careful about jumps because while they’re fun, they can also ruin your day. 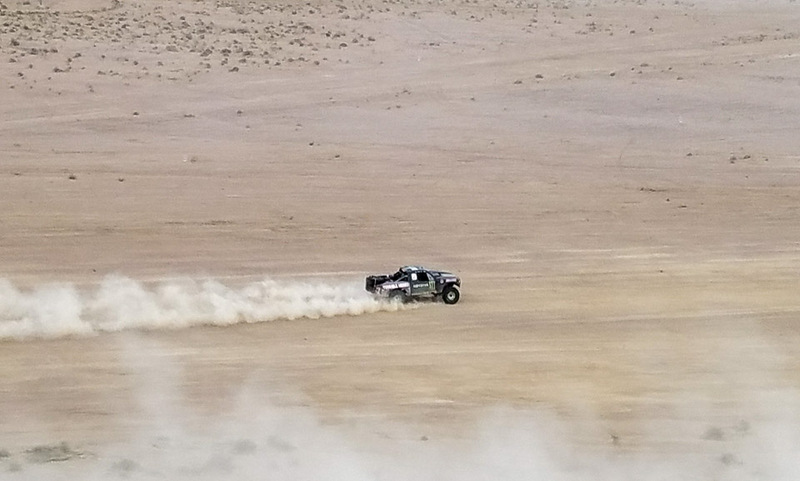 Watching the trucks scream across the dry lake bed with the dust in their wake is a surreal experience. After returning to Vegas, a glamourous meal was in order. 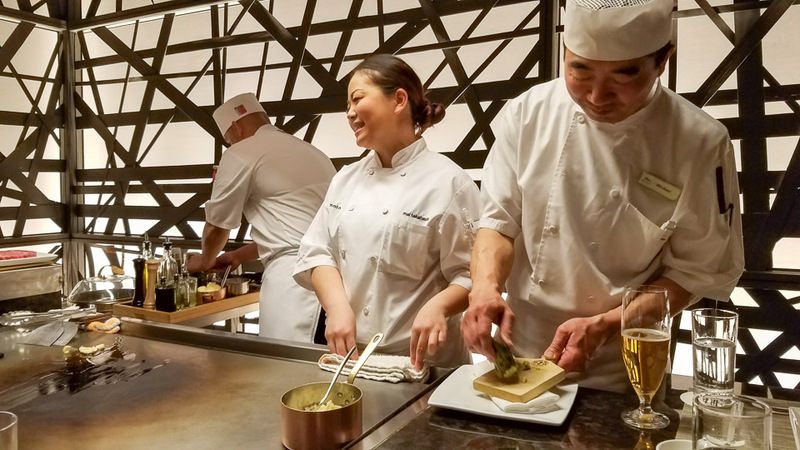 The Iron Chef’s Morimoto was the place of choice, and ended up being an amazing experience to cap off the day. But any trip to Las Vegas isn’t complete without experiencing some night life. 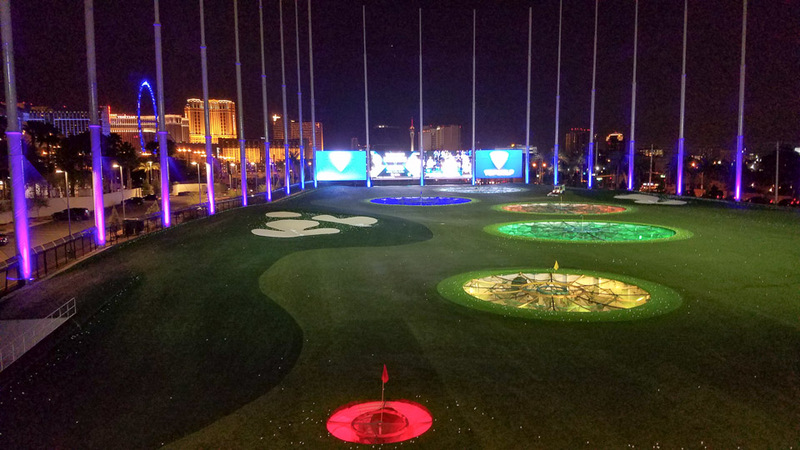 In Vegas that doesn’t necessarily mean a club, but rather we hit up TopGolf to cap off an amazing day and an incredible experience.